Inside of our 140,000 SQ FT warehouse we have the capability to store a large number of coils for Hold and Release purposes. Do you want us to bring in your steel and release it when you need it? No problem, we have you covered for up to 6 months. 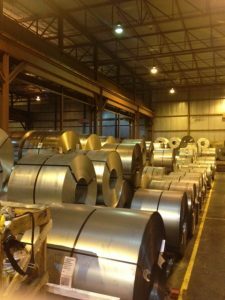 Thanks to our Hold and Release program we are able to bring in your steel and hold it until you are ready for us to process it on any of our machines. 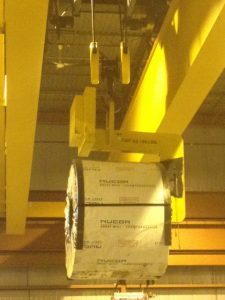 Our Overhead crane capabilities are 60,000 LBS MAX which allows us to bring in coils of any size.